i have been a dog owner all of my life, always having at least one around me from the time i was 5 years old. my parents were never good with animals, but i always had a interest in their training and care, which is a real miracle considering some of the things i had witnessed being done to animals as a kid. i trained my first dog at 8 years old. i taught him basic obedience like sit, stay, come, down and shake paw. but unfortunately as i was the only one working with him he would only listen to me. i began to teach him some agility stuff (long before i even knew what i was called) like jumping hurdles and walking along raised boards. he also loved to pull my bike or sled in the winter time. i went to live with my aunt and my dog remained with my parents. needless to say he never got to learn anything more then his basics. i also dabbled in training cats when i was a kid, and have the cats i have now trained to do a few tricks, and working with them every day on something. i also volunteer at a local sustainability project, caring for and training their farm animals. right now iam working with their horse and goat. the horse is a large draft horse who had been abused by previous owners and has some trust issues. i have been working with him for a couple of months now and he really responds to me, though he is still not trusting enough to lay down when iam there. the goat is about a year old, and iam training her to be a carting animal. right now iam teaching her the basic commands, forward, back, stop and to each side. training goats is a real challenge, especially when you start them this old. i knew the goat since she was a kid, but no one knew what they wanted to do with her at that time. this one has become very attached to the horse, and does not like to leave him, so i have to bribe her abit with food rewards to get her to follow me away from him. so far she is best at going backwards, she will walk backwards as far as i ask her to go, but going forward is another story. eventually i will figure it out..
i decided to join the academy to help me learn more about advanced training methods, as here are certain things that i would love to train a dog(or any other animal) to do but am not sure how to go about it. 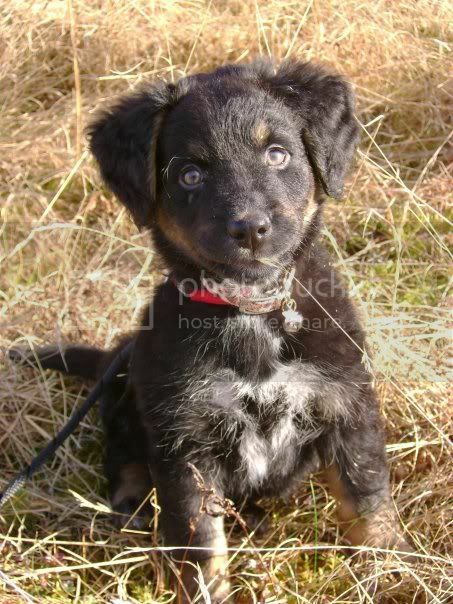 i have a 12 yearold sheltie mix, and am likely getting a border collie mix in 6-7 weeks time. 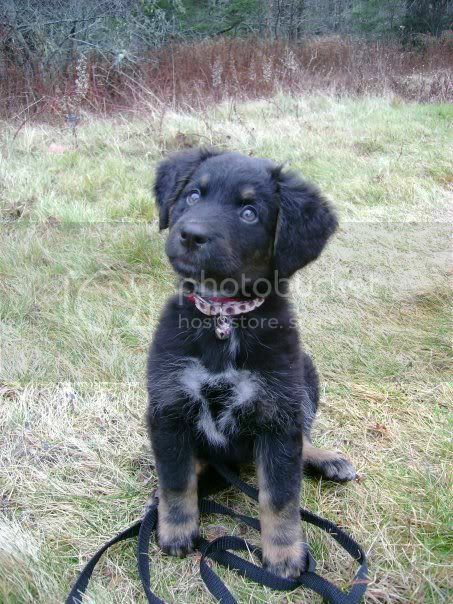 i had been searching for the right puppy for a while now, and had posted a want add online looking for one that would suit my needs as a companion animal. i posted my last ad a month ago, and had not received any real offers. i had asked in my ad for a free or reasonably priced mix breed, and it seemed the only replies i was getting were from people trying to sell me dogs and puppies for really high prices. 700 dollars for a mixed breed dog is not reasonable at all. well, the other day i got a reply from a woman about two hours away who has a dog about to give birth any day. 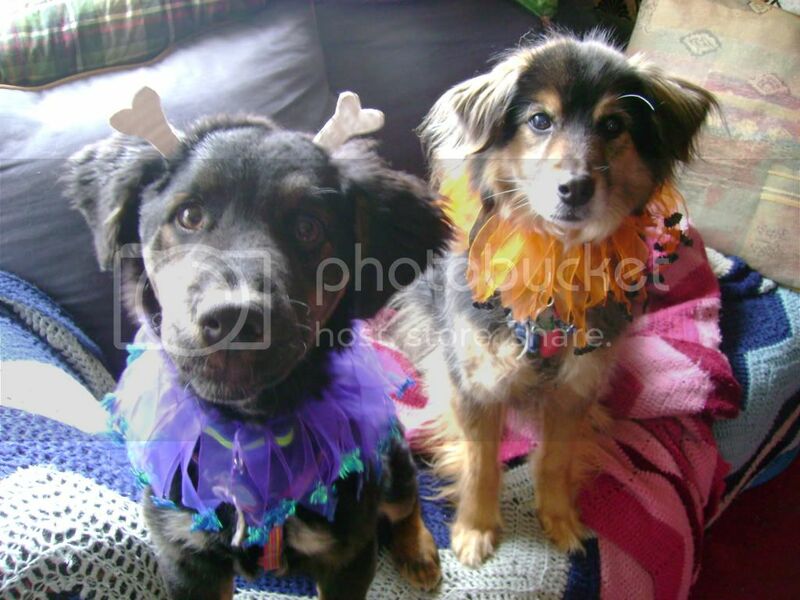 her dog is a short haired breed around 40 pounds, but mated with the neighbors dog who is a border collie. she said that as this was a unplanned pregnancy for her dog she was not asking any money for the pups, just a good home. i told her that i would be very interested in meeting the puppies once they were up and running around, but weather or not i took one depended on if they inherited their fathers coat type or not. the reason for this is that my husband and i are looking for a dog with a weather resistant coat. we have cold winters here and short haired dogs just dont do well. 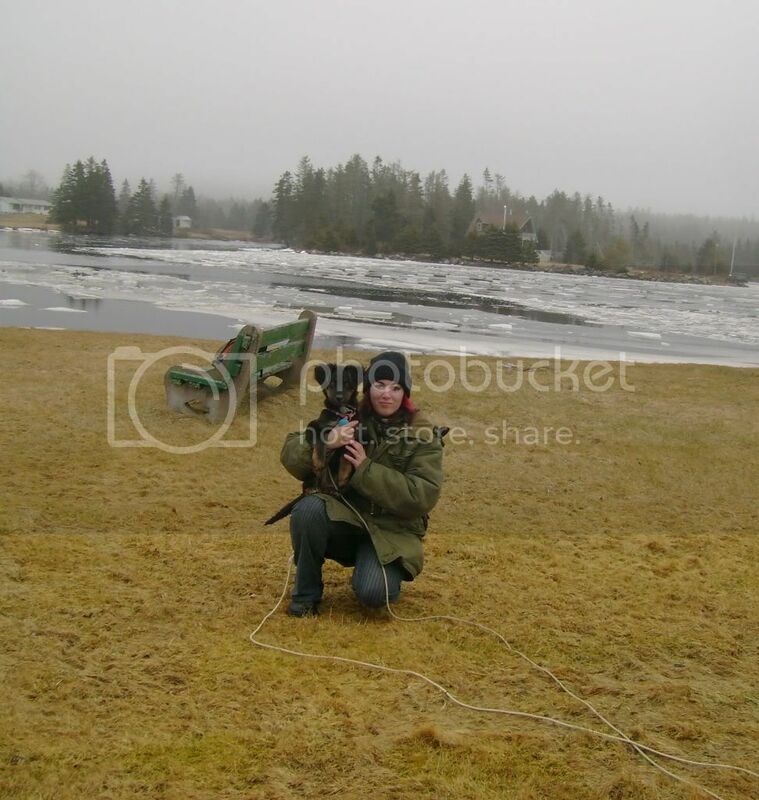 we participate in alot of outdoor activities and dont want the dog to miss out on the fun in the winter time. a dog with longer hair can be given a trim in the summer months, but a dog with short hair will always need a man made sweater in the winter time. 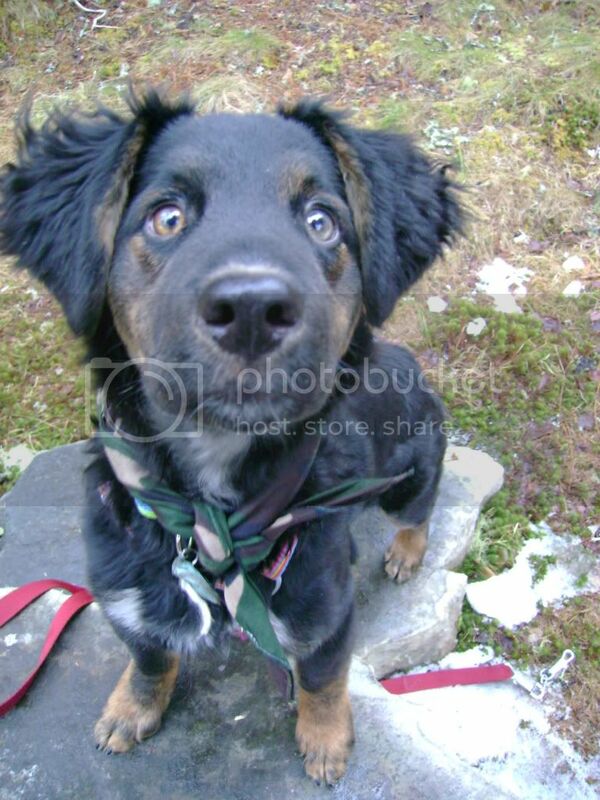 our last puppy we had here was a border collie mix, he was areal sweet heart and his training went quite easy, but his big nose and love of herding/chasing other animals got him into trouble. his second or third day with me i had him down in the woods behind my house and he brought be a baby bird in his mouth. it was still alive and unharmed, so i took it back to the place i saw him pick it up. mama bird was not happy, but took it back. she was sitting up in a nearby tree cursing me out when i went back without my pup to return her little chick. when my puppy, stryder, was 6 months old he was tracking a deer trail that lead him onto the road, not knowing what a deer looked like, he thought that the truck coming over the hill was what he was looking for, and ran right for it. the driver had no way of stopping, as the way the road is you cannot see over the blind until you are almost in my driveway. although stryders death was very hard on me iam glad that he did not feel any pain in his passing,as it was near instant. it was a larger truck and he had been knocked unconscious by the bumper before being hit by the wheels. iam sure that there is alot about myself that i have forgot to ad here, but it will all come out as i get to know the other members and share stories with them. Welcome to the Academy! Goodness you have an incredible amount of patience. Goats(in general) have very little want-to if it doesn't involve grazing on their own or getting into trouble on their own or doing something else...on their own. Lol. Their idea or no idea, lol. Also a horse and dog trainer here. The cat training is proving more difficult. I would highly recommend watching Fickla's videos of her progress with her Toller puppy(in order). This is a great pattern to follow when working on tricks to help teach total body awareness and coordination. I'm a Border Collie lover and owner, so congrats on the new pup! The monthly challenges are a wonderful way to keep him mentally stimulated and a great way to get you to think outside of the box as a trainer. The classroom goes over teaching basic-advanced tricks, as well as the value of positive reinforcement and how to use it. Good luck, and welcome to the Academy!! well, its been a while since i was logged in. the lady with the border collie-pitbull mix puppies unexpectedly stopped all contact with me the night before i was to go pick my pup up. iam not sure why, but i have a feeling it is becuse i told her that i did not plan on crate training the puppy, as i was a stay at home housewife and had the time and energy to devote to watching over and training the pup. although she was in a sorry state, she had a great personality and as soon as i held her i knew she was the right pup. i had picked up her sister first, as she was a beautiful white pup, but when i lifted her up into my arms and looked into her eyes there was nothing there. the pup just did not have that special something. but as soon as i picked up the little black and tan pup, she flopped down into my arms and stared up at me with the "iam home mum" look. i knew that this was the pup i had been searching for. SHE'S ADORABLE!!! Good luck with her!